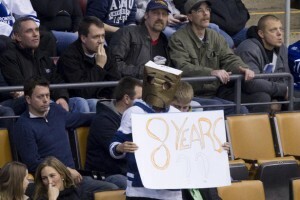 A Maple Leafs fan holds up a sign referring to the length of the team's playoff drought during their 3-0 loss to Carolina on Tuesday night. When Tie Domi took his seat in the dead air of the Air Canada Centre on Tuesday night, he cringed at the depressing scene. The former Maple Leafs tough guy, a crowd favourite during his decade-plus in Toronto, looked around at an arena pocked with empty seats and fed-up fans. He saw his successors in blue and white playing with zero fight, booed off the ice after a 3-0 loss to the Carolina Hurricanes. He saw a once-proud franchise extend the longest playoff drought in team history for another miserable year. Domi, 42, shook his head and sighed a long sigh. I don’t really care if Kane is a saint or a jerk when he is not with the team. It’s his personal time. We had the same thing happen with Tkachuk, if I can recall correctly and he matured, and later came back and embraced the city. In fact, I have heard he even purchased tickets to Jets games for the season, since his wife is from Winnipeg. Who Would You Pick for the Maple Leafs-Red Wings Alumni Game? The NHL is reportedly set to announce that Original Six rivals Toronto and Detroit will face off in the 2013 Winter Classic at Michigan Stadium in Ann Arbor, Mich., festivities which will include an alumni game at Comerica Park. 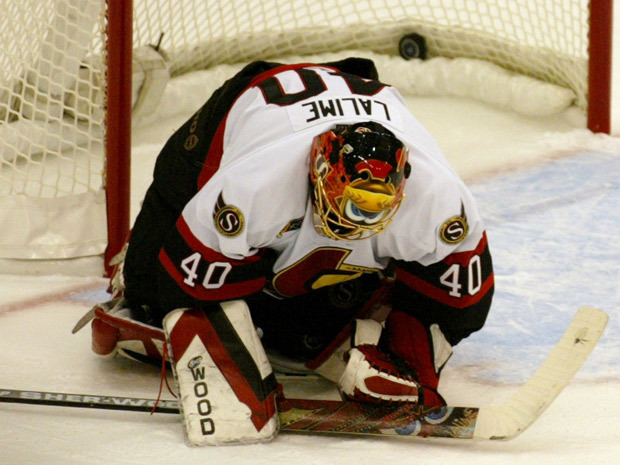 Veteran forward Joe Nieuwendyk gives the Leafs a 2-0 lead in Game 7 of the conference quarter-final with the Senators, firing a gentle wrist shot from high atop the faceoff circle to the right of Senators goaltender Patrick Lalime. Tie Domi lends support to sports doc seeking to avoid jail in U.S. In his final fight to avoid a U.S. prison sentence, Anthony Galea has turned to one of hockey’s most famous and feared enforcers for help. Tie Domi, the third-most penalized player in NHL history, is one of more than 100 people who have filed letters of support for the embattled sports doctor, whose future and freedom is set to be fiercely debated in front of U.S. District Court Judge Richard Arcara in Buffalo, N.Y., on Friday. “There isn’t a better healer in the world. That is why so many of the world’s best athletes seek him out,” the retired NHL forward wrote in a letter, which also details how Dr. Galea diagnosed Mr. Domi’s son with a hidden hip fracture. Ryerson University’s new athletic facility, which includes a new hockey rink under the building’s storied old roof, will be named the Peter Gilgan Athletic Centre at the Gardens thanks to a $15-million gift from Peter Gilgan, the founder and CEO of Mattamy Home. The NHL-sized rink will be dubbed Mattamy Home Ice, and is expected to be ready for the first skaters in March. The facility’s grand opening is scheduled for May. LONDON, Ont. – Ignore the name on the back of the jersey. This youngster is a different chip off the old block. 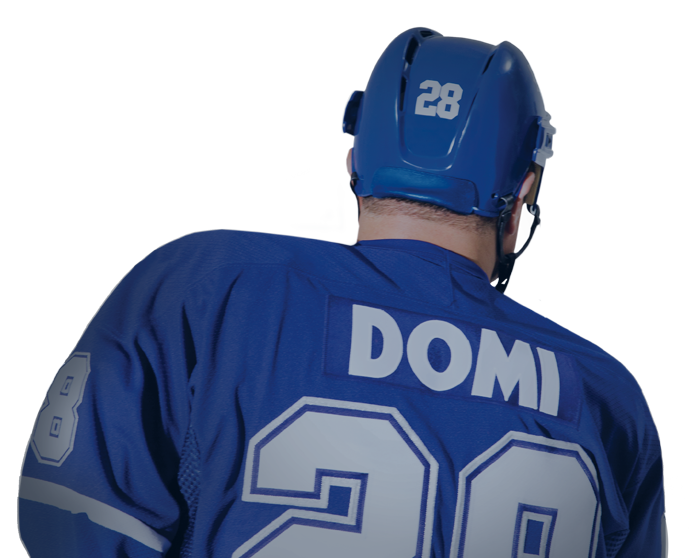 And Max Domi, son of former NHL tough guy Tie Domi, has wasted little time making his mark in the OHL. The 16-year-old London Knights centre scored a hat trick in his first regular season game and currently leads all OHL rookies with eight goals in 18 games. Tie Domi shows why he was one of the game’s toughest players by throwing the gloves (again) with Donald Brashear. These two combatants were very familiar with each other, but that doesn’t mean they started to back off of one another. The punches are coming so fast that the video seems to be in a slight fast-forward mode at points. Mats Sundin in 2007 as a member of the Toronto Maple Leafs. 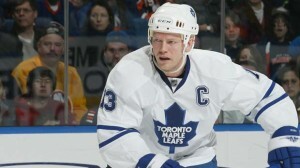 The Toronto Maple Leafs will pay tribute to Mats Sundin in a pre-game ceremony on February 11, 2012, raising his familiar No. 13 to the rafters at the Air Canada Centre – the sixteenth sweater so honoured. The announcement was made Saturday night during the Penguins-Leafs game. The news was welcome and overdue. Give Larry Tanenbaum, the owner of the Leafs, full credit for repairing the relationship that existed between Mats and the team after he played his last game in a Leaf sweater. Tanenbaum pressed the reset button on the carnage left from the John Ferguson Jr. era.